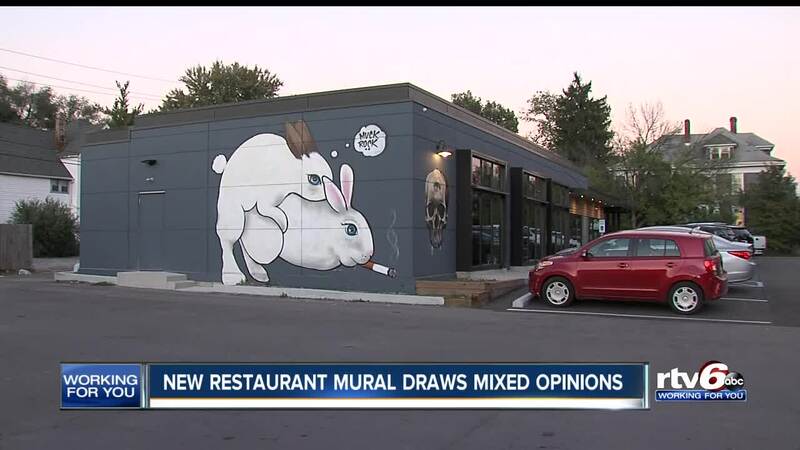 A new mural on the side the Beholder Restaurant on Indy’s east side is drawing mixed reviews. INDIANAPOLIS – A new mural on the side of the Beholder restaurant on Indy’s east side is drawing mixed reviews. 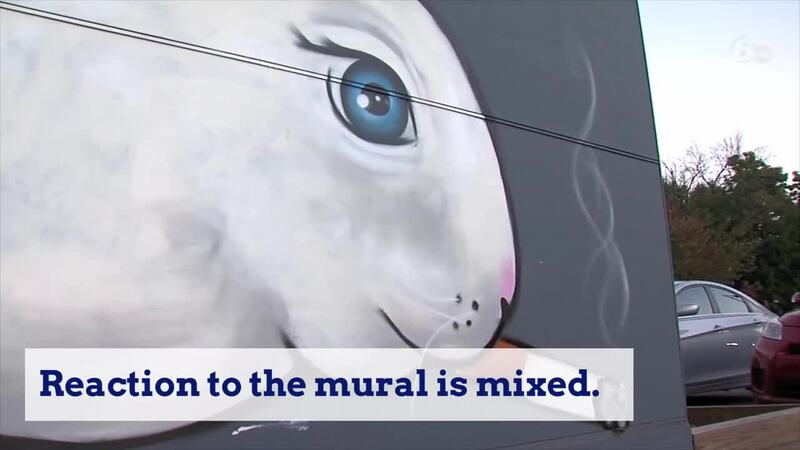 The mural shows two rabbits in a sexual position. Some are using the new mural as an opportunity for photos, but others see the mural as a problem. “Maybe even makes people come out here and have a look around and see that there's more potential than they think is a great thing,” John Robinson said. The restaurant is in a residential area, near a Family Dollar store. Some see that as a problem because children are often in the area.